Some people live to shop, haggle over prices and enjoy the euphoria of winning a bargain while for others, shopping is a dreadful exercise which they’d give anything to get out of. Here are 10 ways to make shopping with your partner fun. Whether married or not, forcing your partner to go on a shopping date can be detrimental. Shopping is an activity that requires interest. The best you can do is to convince them to go with you but you should also be careful not to go overboard while doing the convincing. Simply put, know when to back off . If you belong to the class of people who see shopping as a chore, try seeing it as an opportunity to spend time together. Due to the demand of work and life, one hardly ever gets to spend enough time with loved ones, hence, shopping time can help fill that void. When you have succeeded in getting them to go shopping with you, carrying them along is very important. Even when it seems like they don’t have a clue about what colours or patterns match, ask for their opinion. A whole world of opportunities lies therein. The good thing about going shopping with anyone is that there are fewer chances of buying the wrong things because having a second opinion is always a good thing. No matter how tired or bored you are while shopping, please give genuine feedback when asked for an opinion. Sometimes when you are shopping, you fall in love with an item but you refrain from buying because you do not want to indulge yourself; that’s where this point comes into play. When you are out shopping with someone, always look out for that “please give me a reason to buy this” look and when you find it, all they need is a nudge and they won’t stop talking about that item. Who knows, the person would always remember you when they use the item. This is especially for those who endure shopping. While out shopping with your partner, do not ruin the whole experience by complaining and whining. If you know you get easily bored while shopping, take a form of entertainment with you to keep yourself busy or simply stray to the shopping sections that pique your interest. This is not restricted to cloth shopping. A good way to enjoy shopping is to be actively involved. 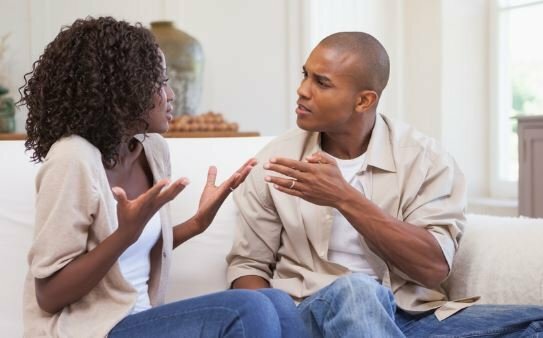 Don’t wait for your partner to ask for your opinion, offer suggestions. By doing this, you are broadening you scope — especially if shopping is not your forte and you will make your partner feel good about being with you. This is an avenue to rest and can be familiar ground for your partner who might have felt out of place while shopping.